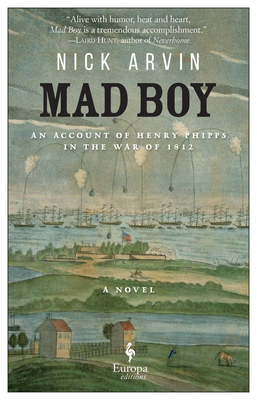 Mad Boy -- set in the War of 1812 -- is a rollicking adventure that often veers into the surreal. Ten-year-old Henry Phipps’ mother has died, and he aims to fulfill her wish to be buried at sea, surrounded by family. He is also determined to scrape up the funds to free his father from debtor’s prison and to find out whether his brother Franklin has truly been shot for desertion from the American army. There are crazy characters aplenty, exciting battle scenes and wild humor that will have you excitedly turning pages to find out all it all ends.